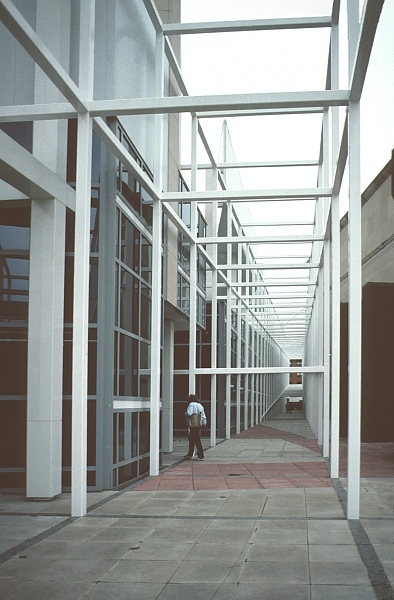 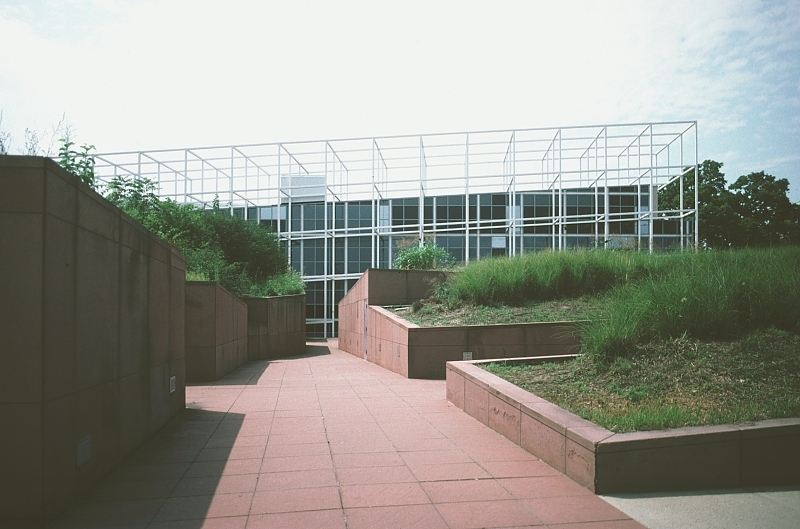 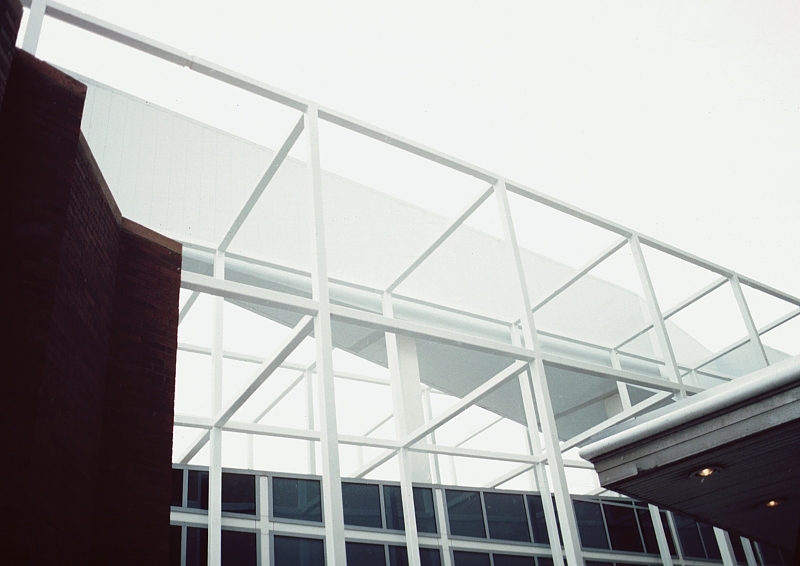 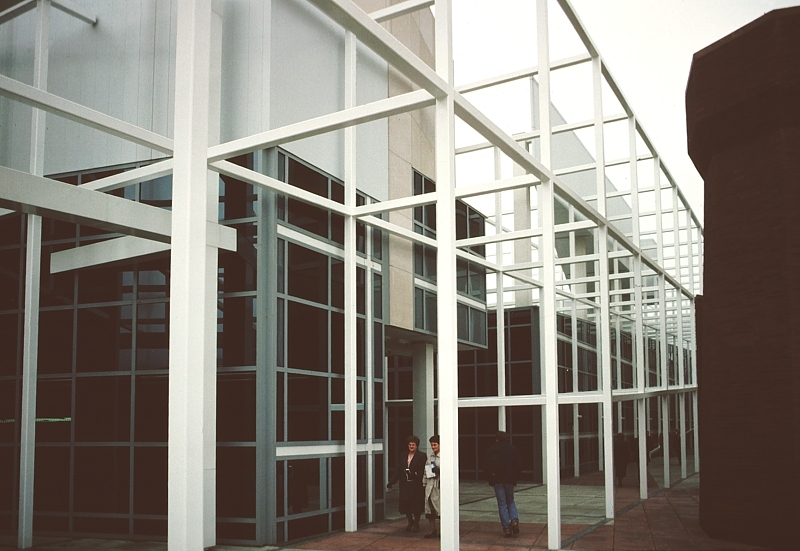 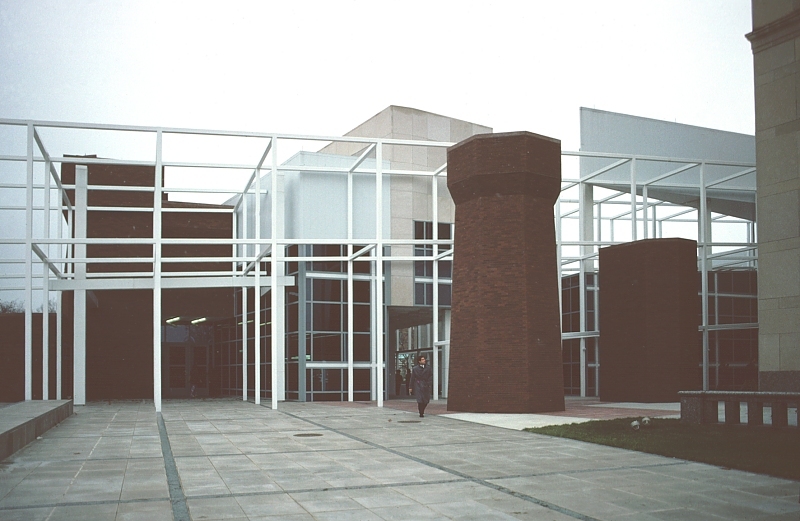 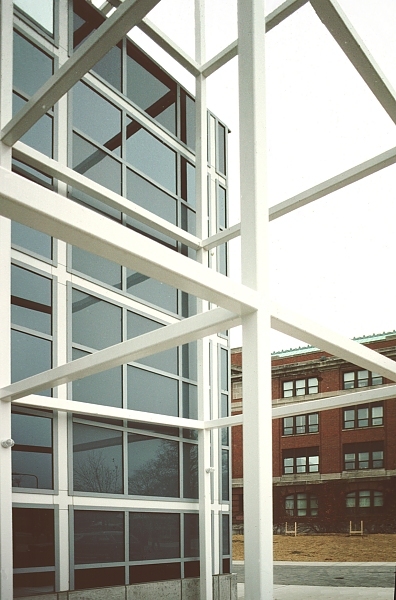 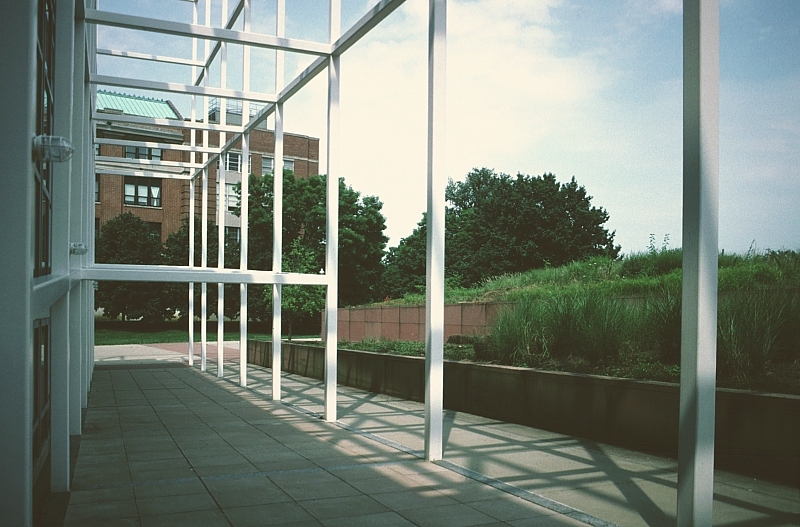 Images of Wexner Center for the Visual Arts, the Ohio State University, Columbus, Ohio, 1989, by Peter Eisenman. 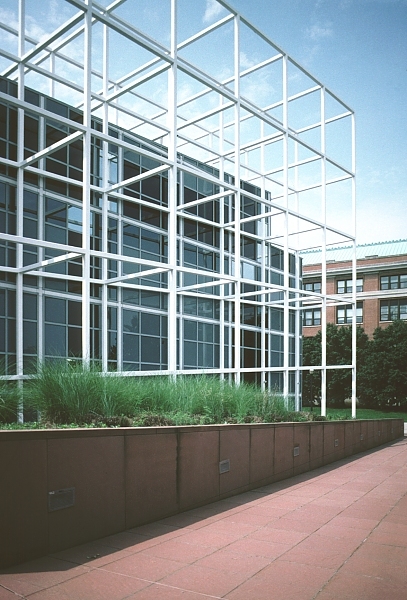 Note the "ship" form at the top of the building. 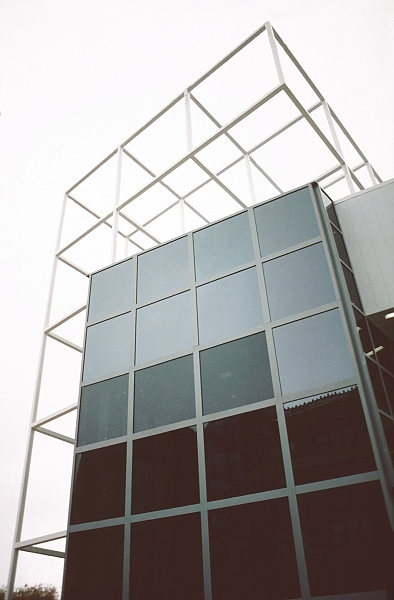 Detail of the ambiguous "ship" riding atop the "scaffolding"
The east side corridor is aligned with the grid of the city and squeezed between existing buildings. 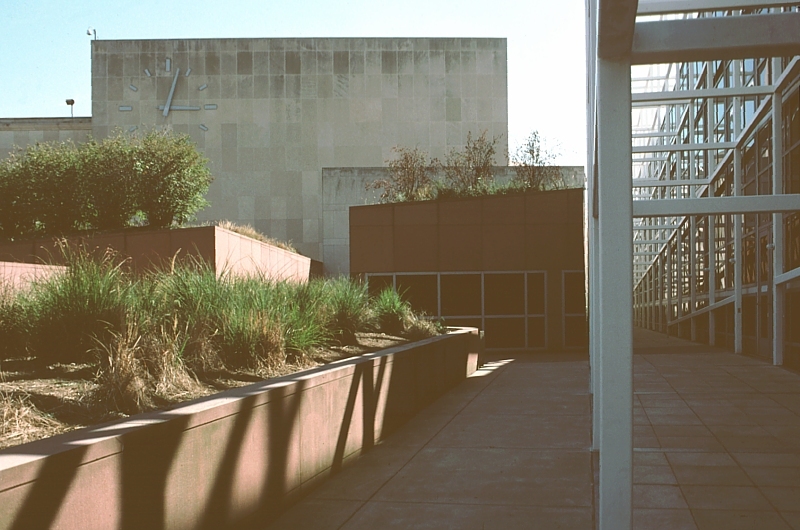 This site has no connection with the Wexner Center for the Visual Arts. 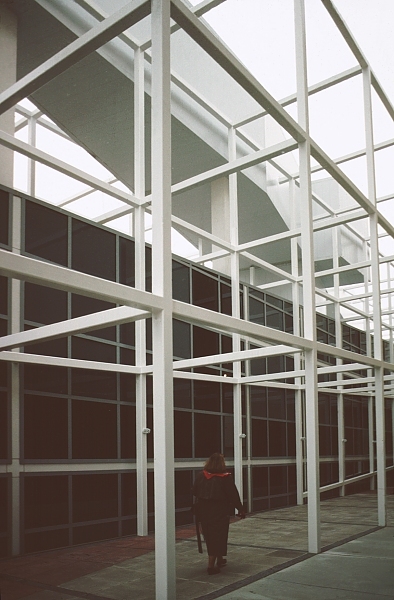 Any errors are my own. 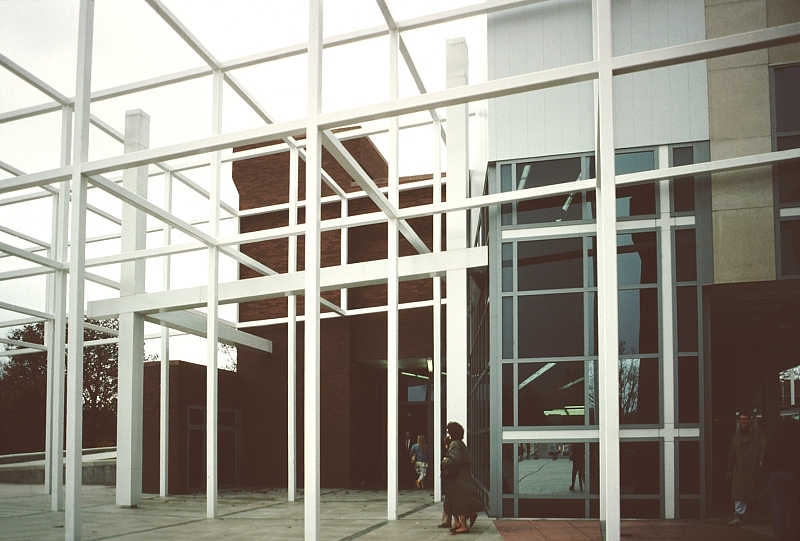 Progressive Architecture (October 1989) has a special issue devoted to this building. 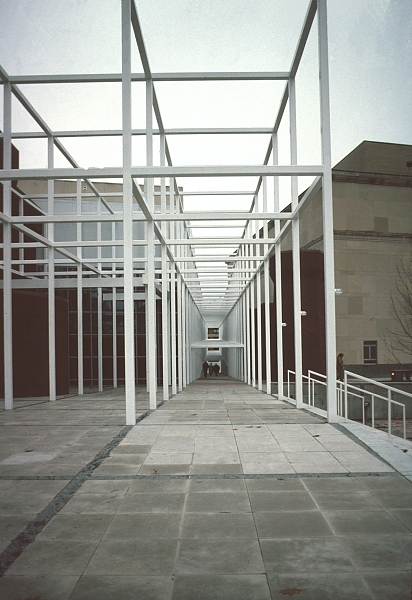 See Index for other works by Eisenman on this site.